We personally use Church Media Squad for our own graphic design needs and believe they’re the right fit for churches on a tight budget. 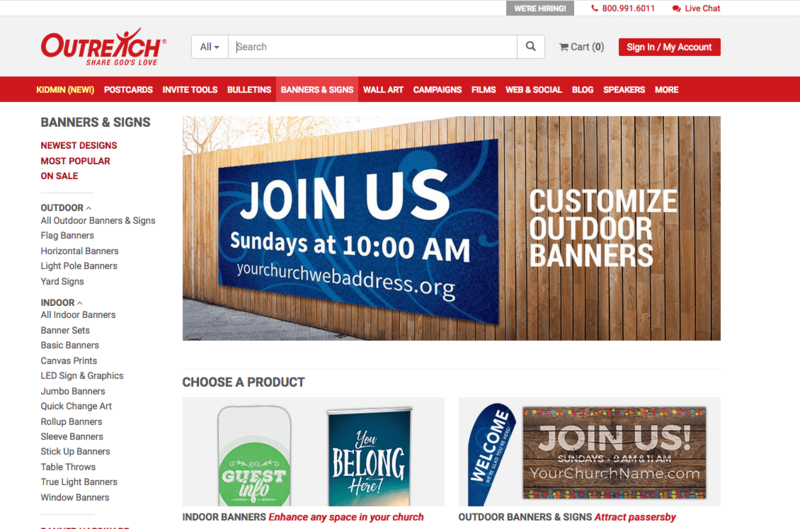 We trust Outreach for our church banner and printing needs. Canva is awesome and free for non-profit use. Read more about Canva on their website and how to obtain a free Canva for Work subscription by clicking here.